Charlie Chaplin always cited his own mother as a great inspiration on both his performance techniques and his outlook on life. Hannah was a singer and character comedienne in the British music halls with the stage name of Lily Harley, and she did enjoy some success. 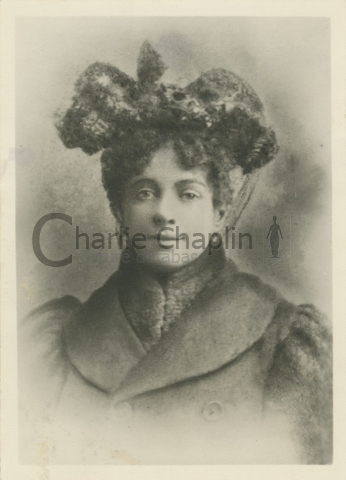 Sadly her career was plagued on and off by ill health, and it was when her voice failed during one particular performance that the young Charlie Chaplin, at the age of five, got his first taste of performing - he went on as an impromptu replacement. Her health continued to decline and she found herself making a poor living as a seamstress and was eventually put into a mental hospital. She would suffer from mental illness for the rest of her life. Even during her poverty-stricken days, Hannah Chaplin was remembered to have brought endless gaiety and pleasures to her children. She would bring them small treats, sing and dance her old music hall numbers and act out plays to them. Charlie Chaplin attributed his own success as a pantomimist to his mother’s gifts for mimicry and observation. 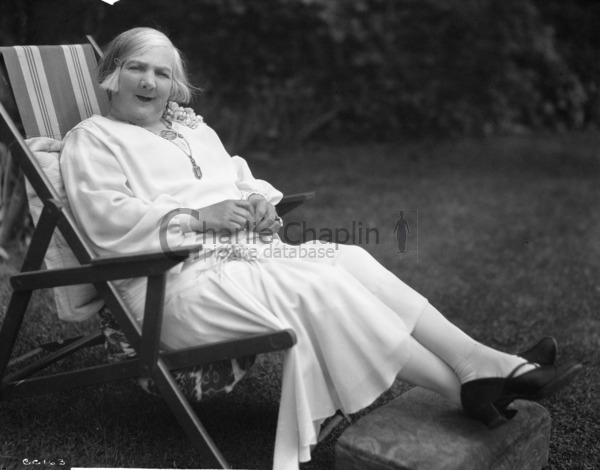 In 1921, Charlie Chaplin and his brother Sydney brought their mother over to live with them in the United States. Charlie bought Hannah a seaside house in Santa Monica and hired trained caregivers to look after her for the last seven years of her life. It was also during her days in Hollywood that she was at last reunited with her other son, Wheeler Dryden, who was separated from her at the age of six months. She died on August 28, 1928. Did you know that Charlie Chaplin named the leading female character (played by Paulette Goddard) in The Great Dictator after his mother, Hannah Chaplin? Did you know that Geraldine Chaplin, Hannah’s own granddaughter played the role of Hannah Chaplin in the 1992 biopic Chaplin?